Digitalisation, globalisation, demographic shifts and other changes in work organisation are constantly reshaping skill needs. This can lead to persistent skill shortages and mismatch which are costly for individuals, firms and society in terms of lost wages and lower productivity and growth. These costs can be reduced through better assessment and anticipation of changing skill needs and by improving the responsiveness of skills development to these changes. This report identifies effective strategies for improving labour market information on skill needs and ensuring that this information is used effectively to develop the right skills. 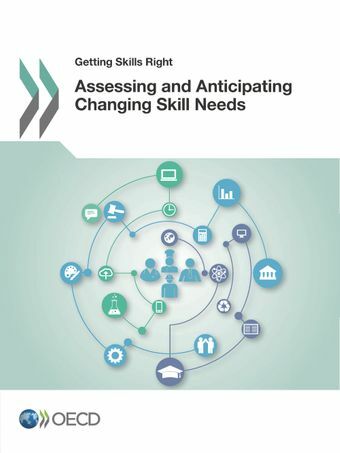 It provides a comparative assessment of practices across 29 countries in the following areas: i) the collection of information on existing and future skill needs; ii) the use of this information to guide skill development policies in the areas of labour, education and migration; and iii) governance arrangements to ensure good co-ordination among the key stakeholders in the collection and use of skill needs information. Note: Workers are classified as under-qualified (over-qualified) if their educational attainment (four categories) is lower (higher) than the modal educational attainment of workers in their occupation within the country. * Footnote by Turkey: The information in this document with reference to « Cyprus » relates to the southern part of the Island. There is no single authority representing both Turkish and Greek Cypriot people on the Island. Turkey recognises the Turkish Republic of Northern Cyprus (TRNC). Until a lasting and equitable solution is found within the context of United Nations, Turkey shall preserve its position concerning the “Cyprus issue”. * Footnote by all the European Union Member States of the OECD and the European Union: The Republic of Cyprus is recognised by all members of the United Nations with the exception of Turkey. The information in this document relates to the area under the effective control of the Government of the Republic of Cyprus.